Wolfram Alpha, the computational knowledge engine, is set for a major boost with news that some of its content is to feature within Microsoft's Bing search engine. Although the link-up hasn't been clarified by either company, TechCrunch is reporting that a deal is already in place for Bing to host a selection of the knowledge engine's specialised scientific and computational content. The move is another approach by Microsoft to eat away at Google's dominance in the search market. 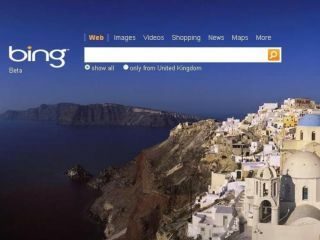 Since its launch in June, Bing has steadily improved its market share, taking 9.4% of the US market in July – European statistics aren't available – up from 8.2% in June. Wolfram Alpha is a whole different beast in the search market. As it doesn't have anything near the marketing spend that Microsoft has, the search engine has garnered cult status but it has a lot of work to do. In a recent blog post, the creator of the site Stephen Wolfram said: "Of all the feedbacks we've received, we've classified 54,233 of them as bugs or suggestions. Of these, 31,006 are now in our implementation queue, boiled down to about 5800 to-do items. "At the beginning of the summer, we were taking care of about 250 to-do items from all sources per week. Now it's up to nearly 600 per week. And so far we've been able to tell 3907 people that the bugs they reported have been fixed." There's no word as of yet how Bing users will know when Wolfram Alpha's technology is being used to find there results, but it is believed that some 'powered by' branding will be used.